Defying waves and winds of the Atlantic Ocean, Estalagem do Muchaxo occupies a 17th century fortress, with more than 60 years of history. 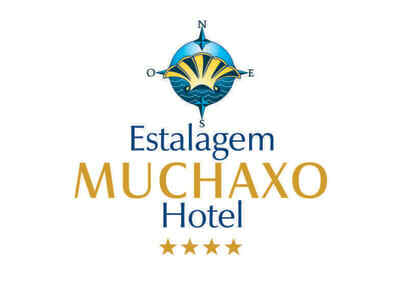 In an extraordinary natural setting, Estalagem do Muchaxo transmits a unique and personalized atmosphere, where sea and mountains merge in a unique way, providing an invigorating and unforgettable contact with nature. Its restaurant is one of the most known in the region due to its magnificent view over the ocean and its cuisine, specialized in Seafood and Shellfish. A unique atmosphere can be found at the bar, with its decoration, piano, fireplace and views of the sea. Fortress Wing Rooms have been recently furnished and decorated (2011). Soft tones, pastels colors and a cosy wood flooring create a relaxing atmosphere. Special emphasis on the originality of the furniture design, in natural wood. The East Wing rooms, feature a more informal decoration, providing a fresh atmosphere and extensive views of Guincho Beach, the Serra de Sintra and Cabo da Roca. All rooms come with satellite TV, telephone, individually-adjustable air conditioning, safe, hair-dryer and fully equipped private bathroom. The Fortress Wing rooms also feature mini-bar. 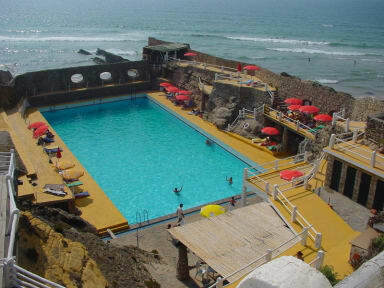 Facilities: sea water pool on a cliff, car park, restaurants, bar, snack-bar, swimming pool bar, Internet Pc's, Sauna, Squash court and parking. .Guincho beach, internationally known as one of the best windsurfing spots in EU. For golf enthusiasts there are 7 golf courses close by.